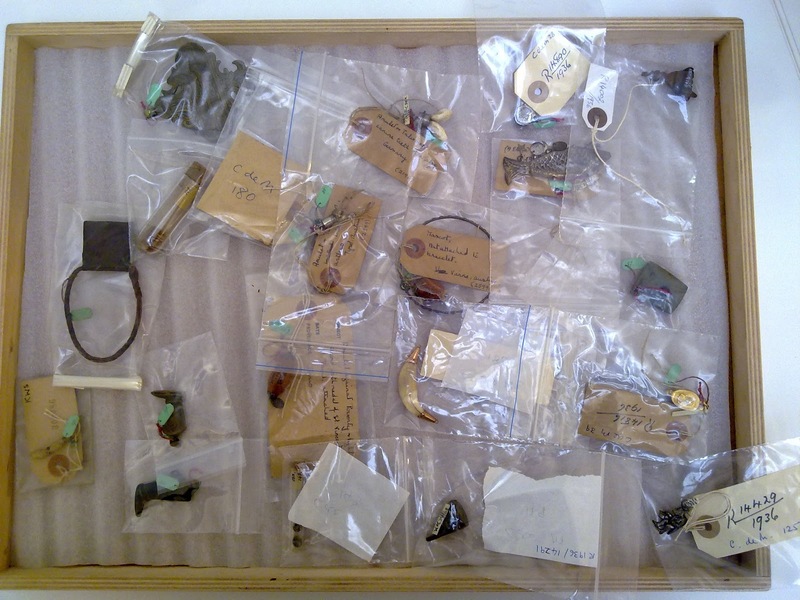 One of the main aims of the ‘Small Blessings’ project is to accession, catalogue, physically number, label, document, and improve the storage for around five-thousand amulets. 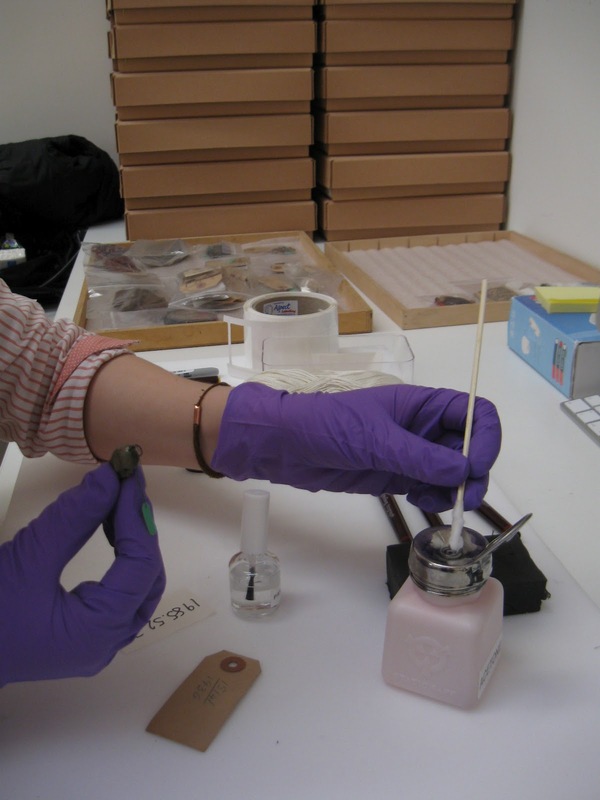 In the process of doing this, we cataloguers have a ‘tool-kit’ that we draw upon to go about the practicalities of our job on a day-to-day basis. This tool-kit consists of things such as rotary pens to physically number the objects and write labels. Where there is a large enough non-porous surface available, we use an acetone-based liquid (not unlike nail varnish) to apply a clear barrier before letting it dry and writing the number on top. This means we are not writing onto the object itself and allows the number to be removed or altered in the future. Due to the nature of amulets – ‘small blessings’ that are designed to be worn close to the body – it is sometimes very difficult to number them like this because they are too small! In a cataloguer’s tool-kit you’ll also find string, a tape measure, a magnifying glass, scissors, and some charming nitrile purple gloves! We also use a digital camera to create a visual record of each object. But this tool-kit also includes immaterial qualities such as an eye for detail, an ability to describe concisely what you are looking at, and an awareness of the different materials and processes that were involved in making such a wide variety of amulets: from Roman Catholic reliquaries, to pendants carved out of lava from Mount Vesuvius, to a wolf’s tooth worn to prevent convulsions. carried in a policeman's amulet satchel from Germany. It is incredibly important to complete all the above stages involved in cataloguing an object collection. This will allow staff, researchers, and the public to locate these objects in the future and hopefully be inspired to find out more about a particular amulet or the collection as a whole.